According to the Canadian Diabetes Association over 9 million Canadians have diabetes or pre-diabetes (a precursor to diabetes).Diabetes is a chronic disease where the body does not make enough insulin or becomes insensitive to the insulin that is produced. Diabetes is a worldwide epidemic and is one of the leading causes of heart disease, dementia, cancer and premature death. Dr Mark Hyman, MD, author of “The Blood Sugar Solution” diabesity-which includes health problems ranging from mild insulin resistance and overweight to obesity and diabetes-refers to diabetes as the single biggest global health epidemic today. Dr Hyman says that since diabetes is a disease that is almost entirely caused by environmental and lifestyle factors, it is almost 100 percent preventable. If you are suffering from diabetes, this probably sounds new to you. In his book“The Blood Sugar solution”, Dr Hyman discusses in detail the new successful holistic nutrition and functional medicine approach to reverse diabetes. A holistic nutrition approach to diabetes gives diabetics a hope of cure, contrary to conventional medical belief about diabetes as a chronic disease that requires long-life oral hypoglycemic medication or insulin injections. Dr Hyman busts 5 common myths about diabetes and obesity. In my Oakville holistic nutrition practice, I have helped so many clients with diabetes and blood sugar issues to lower and stabilize their blood sugar levels. 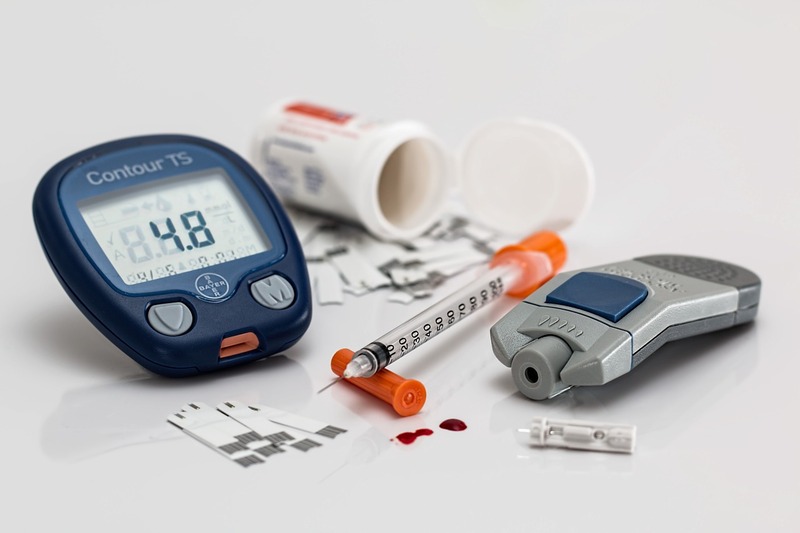 If you have a family history of diabetes or have been diagnosed with pre-diabetes or diabetes, these 5 myths about diabetes by Dr Hyman, will completely change your view of how to prevent and manage this chronic disease forever. We have been led to believe that diabetes is essentially a genetic disorder over which we have no control. In truth, diabetes is almost entirely induced by environmental and lifestyle factors. While there are some predisposing genes, those genes get turned on (or expressed) only under conditions of poor diet, sedentary life style, stress, and exposure to environmental toxins. You may have a genetic predisposition to diabetes, but you are not pre-destined. You have the power to transform your gene expression and reverse disease by changing the messages you send to your DNA. A holistic nutritionist approach to diabetes will show you how. Most of us were led to think that it is impossible to reverse diabetes and that the only treatment options is to limit the consequences and reduce the complications. The truth is, there is clear evidence from the scientific literature that type 2 diabetes is reversible especially if caught in the early stages. Aggressive lifestyle intervention, nutrition support with occasional medications can reverse type 2 diabetes. The fact that is skipped by most doctors is that your blood sugar is the last thing to go wrong, your insulin spikes first. If you have a family history of diabetes, increased belly fat or waist size, or abnormal cholesterol, it is recommended not only to check your blood sugar level but to do the 2 hour glucose tolerance test. This test not only measures glucose but also insulin levels which is a more effective way of catching problems early. It is not true that pre-diabetes puts you in risk of developing something in the future, such as diabetes or heart attack. The truth is, pre-diabetes is a deadly disease that can lead to heart attack, stroke, cancer, dementia and more. Just having pre-diabetes can give you pre-dementia. Alzheimer’s disease is actually now be called type 3 diabetes. Pre-diabetes can also cause impotence in men and infertility in women. Insulin can lower your blood sugar level but it is a fat storage hormone that drives appetite and inflammation and leads to increased weight, elevated blood pressure and higher cholesterol. If you have to be on insulin, get on the lowest dose possible. 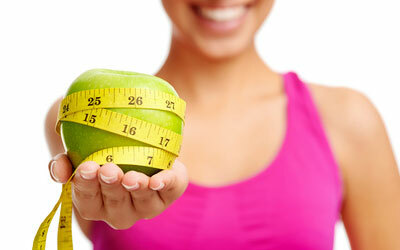 Eating natural food and exercising regularly, can lower your needs for insulin. With the right targeted holistic nutrition intervention which addresses the underlying causes of diabetes, you can reverse diabetes and stop insulin therapy under your doctor’s supervision. Lowering your blood sugar without addressing the underlying causes gives you a false sense of security for prevention of heart attacks and early death. The evidence shows otherwise. Recent large trials published in the New England Journal of Medicine, have confirmed that by treating risk factors such as cholesterol or blood sugar levels, with drugs not only may be ineffective in preventing heart attacks, diabetes and death but may also be creating harm by ignoring the root causes of disease. There are also many other studies that support the significant side effects that come with taking these drugs. Pre-diabetes and Type 2 Diabetes Mellitus are on the rise worldwide due to high sugar diets, processed foods, a sedentary and stressful lifestyle and environmental toxins. All these factors stress the pancreas overtime resulting in a state of insulin resistance or reduced sensitivity of tissues to insulin and increasing insulin demands by the pancreas. Eventually, your pancreas may just stop responding and you can become diabetic. Read more about sugar and diabetes in “Sugar The Sweet Poison” blog post. 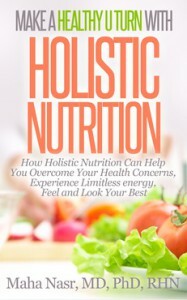 A holistic nutrition approach can help you regulate your blood sugar through a wholefoods diet, lifestyle changes and a positive mindset. There are many foods and natural supplements that have been scientifically proven to stabilize blood sugar levels by increasing insulin secretion or increasing tissue sensitivity to insulin. As an Oakville nutritionist, I also find that vitamin and mineral supplementation can help the many additional conditions that are associated with diabetes such as poor circulation, nerve damage and nutritional deficiencies caused by oral hypoglycemic medications. If you need help with your health and nutrition, CALL Healthy U Turn at 416 876 4634 to book an appointment OR Sign up for a FREE Clarity Session with holistic nutritionist, Dr Maha Nasr to discuss your health concerns and learn more about how we can help.